Maniesh Paul said, "I don't think so that people have slotted me in the comic category. 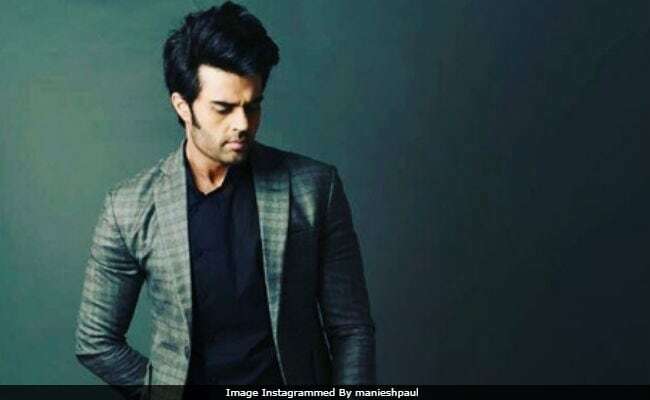 I am getting different kind of films"
Actor-TV personality Maniesh Paul says he doesn't feel he has been stereotyped in the comic zone in showbiz. "I don't think so that people have slotted me in the comic category. I am getting different kind of films like Ba Baaa Black Sheep, my next film. It's not just a comedy, it is a thriller. I am doing a lot of action in that. So people are giving me different kind of work and yes, I think till now I am doing decent in that," Maniesh told IANS in a recorded response. He has earlier featured in films like Mickey Virus and Tere Bin Laden 2, which got a lukewarm response at the box office. Asked if it bothers him, Maniesh said: "I don't only believe in box office success. I am an entertainer, and whatever comes my way, I give my 100 per cent. All I want is that people should love my films."